VIDEO: "The Death Penalty in 2013: Year End Review" (A two-minute video summary of the Year End Report). 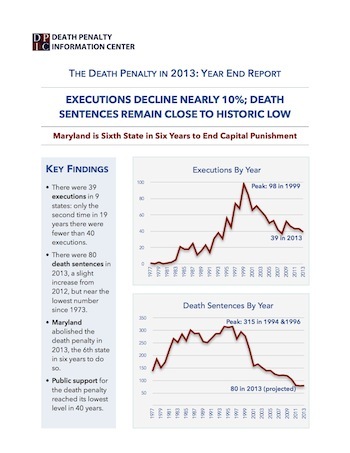 INFOGRAPHIC: "Death Penalty Use Declines in 2013". Detailed information on 2013 Death Sentences, including state and county data. 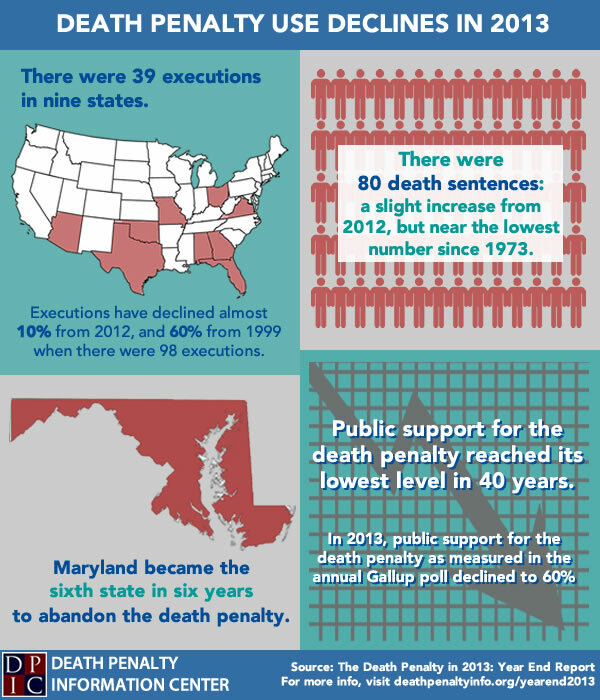 (Washington, D.C.) With 39 executions in 2013, this year marks only the second time in nearly two decades that the United States executed less than 40 people, according to a report released today by the Death Penalty Information Center (DPIC). One of the reasons for fewer executions in 2013 was states’ inability to obtain lethal injection drugs.